This is a second attempt Blog. I wrote and posted a similar article some weeks ago, and took it down due to terrible editing and poor structure. I do hope this one goes better. In honor of what I consider to be the strongest and most important force in the universe: Love, I have compiled a list of 8 late great couples whose relationships I personally find fascinating and inspiring. I picked eight because it rhymes with late and great. Charlie Chaplin was a notorious womanizer and cad. He’d had quite a history of tragic love affairs, and had an extreme amount of trouble keeping it in his pants, fuelled in no small part by his penchant for drinking and wild parties. He also quite liked younger women. And as he aged, his partiality for youth did not follow suit. 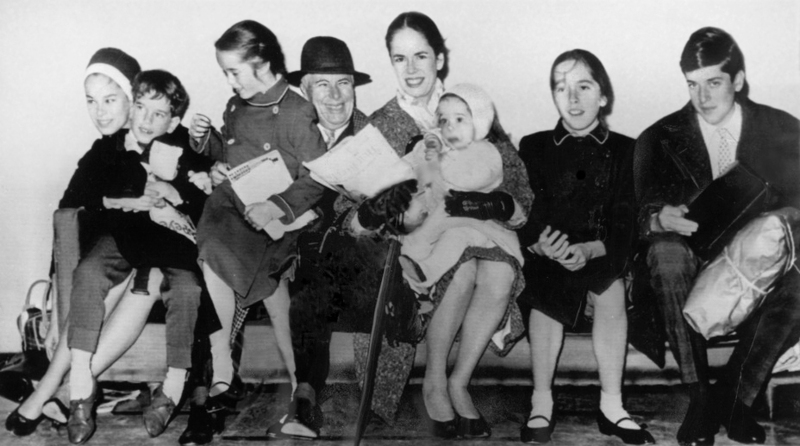 Oona O’Neil was a 17 years old when introduced to Chaplin by her agent Minna Wallace. Chaplin was, at the time, 34 years her senior. This made Oona very much his type. 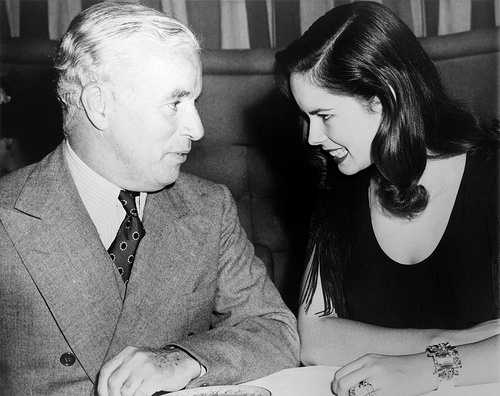 Chaplin’s immediate fondness for Oona meant he signed her to a movie contract, despite being worried that she was too young. A relationship between the two blossomed quickly. Chaplin and O’Neil eloped one month after her 18th Birthday. They were also denied entry into the US during that super fun and useful “communist” and “subversives” witch-hunt referred to as the McArthyism. The couple (particularly Charlie) were renowned for their “non-millionaire” lifestyle. Choosing to lead a rather humble existence, despite their wealth. Charlie being very sympathetic to the plight and struggle of the poor and advocating quite publicly for social equality and justice meant he was blacklisted as a communist and he and his family were not allowed entry to the US. Oona relinquished her US citizenship and they kept a very low profile over in Europe for many years. Despite his larger than life on screen characters, Charlie was a humble and private man, very well suited to a quiet family life. Charlie died on Christmas day 1977. Oona lived for several years after his death and hit the bottle fairly hard until her death due to pancreatic cancer in 1991. Oona was a prolific diarist and wrote many letters. Sadly, she ordered all of her work destroyed. One of the most enduring and heart warming stories in history. 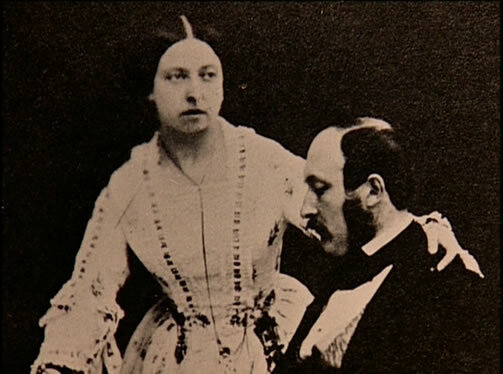 Victoria had her sights on Albert and most sources even say that it was she who proposed to him. Together they forged social, political, military, economic and technological initiatives that led Britain to its finest Empirical hour. During the Victorian Era, the sun never set on the British empire. While I don’t condone the arrogance of the colonisation, nor the atrocities that took place at the hands of one society’s attempts to “civilize” countless other cultures and societies around the globe, I have a deep and warm respect and admiration for these two as a couple and as individuals. 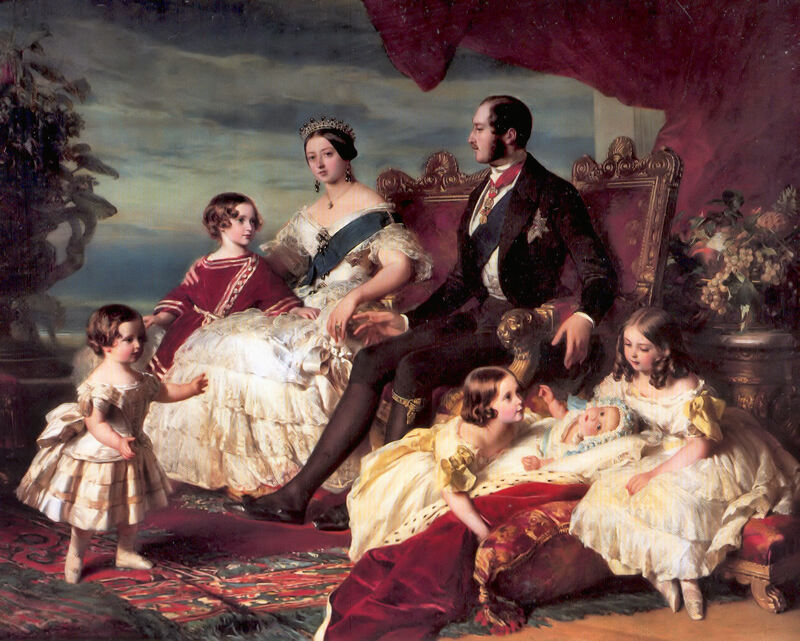 The legacies in our culture that were introduced as a result of Victoria and Albert’s union are almost innumerable. 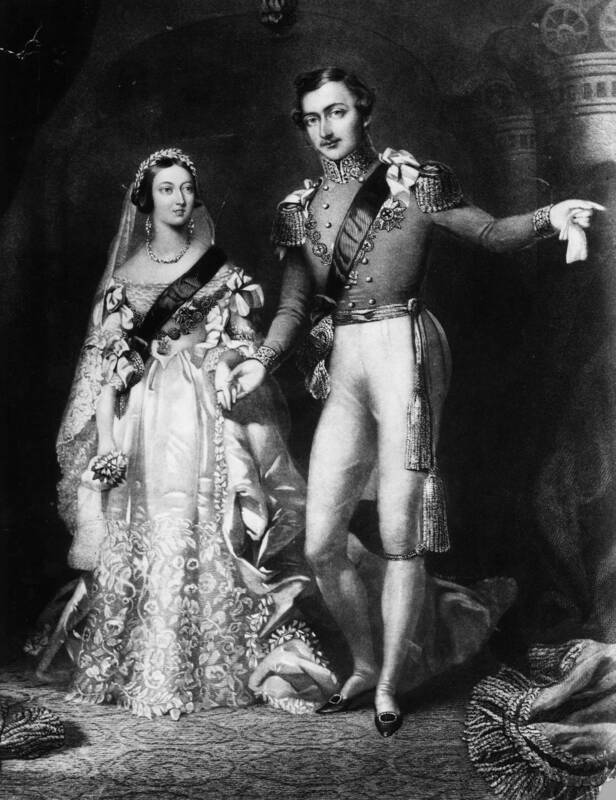 From the tradition of trimming an evergreen tree as a Christmas tree, to wearing knickers, Victoria and Albert are responsible for so many things in so many colonial cultures that one would scarcely recognize a parallel universe that evolved without their union and reign. Victoria bore Albert 9 children. Despite hating pregnancy (I can relate to that!) and childbirth, it seems Victoria’s sense of duty and attraction to her husband was such, that she embarked on the journey back to motherhood a substantial number of times. Their 9 children, who were married out to nobility across Europe, have strengthened the Victorian legacy across the planet. One of Victoria and Albert’s granddaughters even features on this list. The fateful, yet beautiful Love story of Alexandra and Nicholas of Russia also made our list, and of course, Alexandra was Victoria’s granddaughter. Tragically, Albert fell sick while he was still relatively young. Victoria kept vigil next to her husband tirelessly in his final days. She was so distraught by his passing that she did not appear publicly for three years after his death. Victoria had Albert’s clothes laid out every single evening for the many decades she survived him. But of course the romance that inspired the building of the Taj Mahal is going to make it on this list. Here’s some things you might not know about the couple, as I did not know them until I started researching this blog. Mumutz Mahal (Ariumand Banu Begum) was the favourite (obviously) of three of Prince Khurram’s wives. The two were promised to each other through an arranged marriage at the ages of 14 and 15. 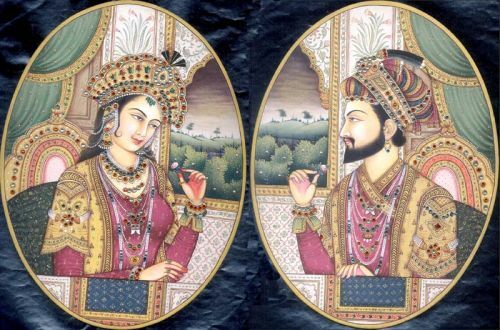 Prince Shah Jahan was a staunch Muslim, unlike his predecessors (including Akbar the Great) who were much more liberal in their treatment of non-Muslims. Mumtaz Mahal was born of a Persian royal lines and her family were loyal supporters of the Mughal empire which bore Shah Jahan. She died at the age of 40, giving birth to their 14th child. Obviously affected by the loss, the prince (who was already a great patron of Muslim arts, architecture and culture) busied himself with creating the Taj Mahal to pay homage to the Love of his life. In summary, I just wanted to point out that the eight couples on this list range from atheist, to protestant, to extreme orthodox. Great Love is not reserved for any particular religion or belief structure. Great and timeless Love is a force that both supports and surpasses all human interaction and understanding. Just thought I’d bring that up. Writing this blog I did not put these couples into any discernable order, but I must say, Marie and Pierre are probably the dearest to my heart. The couple, who were introduced at a dinner party in the spring of 1894, talked about science, and politics and life and fell as madly in Love with each other as two highly intelligent humans have ever done before. I met Pierre Curie for the first time in the spring of the year 1894…. 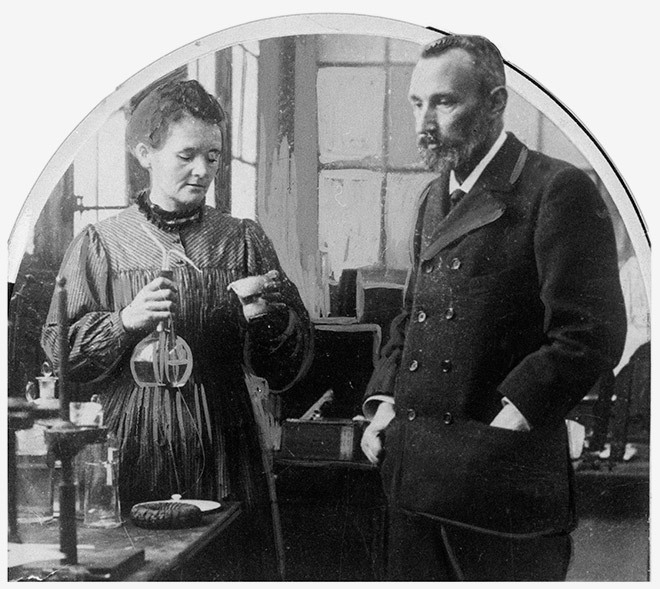 A Polish physicist whom I knew, and who was a great admirer of Pierre Curie, one day invited us together to spend the evening with himself and his wife. As I entered the room, Pierre Curie was standing in the recess of a French window opening on a balcony. He seemed to me very young, though he was at that time thirty-five years old. I was struck by the open expression of his face and by the slight suggestion of detachment in his whole attitude. His speech, rather slow and deliberate, his simplicity, and his smile, at once grave and youthful, inspired confidence. We began a conversation which soon became friendly. It first concerned certain scientific matters about which I was very glad to be able to ask his opinion. Then we discussed certain social and humanitarian subjects which interested us both. There was, between his conceptions and mine, despite the difference between our native countries, a surprising kinship, no doubt attributable to a certain likeness in the moral atmosphere in which we were both raised by our families. We met again at the Physics Society and in the laboratory. Then he asked if he might call upon me…. 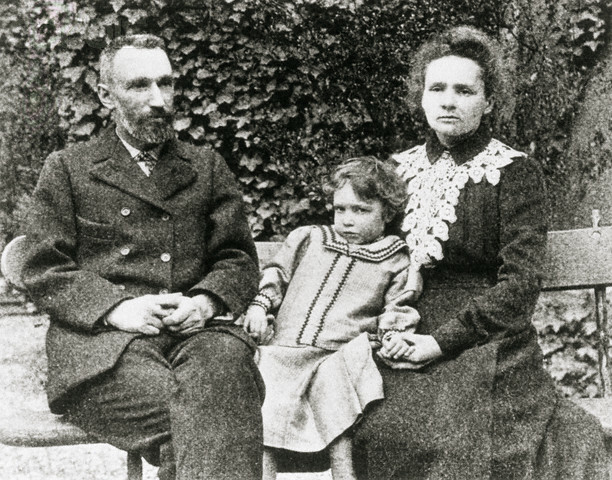 Pierre Curie came to see me, and showed a simple and sincere sympathy with my student life. Soon he caught the habit of speaking to me of his dream of an existence consecrated entirely to scientific research, and he asked me to share that life. It was not, however, easy for me to make such a decision, for it meant separation from my country and my family, and the renouncement of certain social projects that were dear to me. Having grown up in an atmosphere of patriotism kept alive by the oppression of Poland, I wished, like many other young people of my country, to contribute my effort toward the conservation of our national spirit…. “We have promised each other (is it not true?) to have, the one for the other, at least a great affection. Provided that you do not change your mind! For there are no promises which hold; these are things that do not admit of compulsion. One can understand, from this letter, that for Pierre Curie there was only one way of looking at the future. He had dedicated his life to his dream of science: he felt the need of a companion who could live his dream with him. This could be easily be me describing my husband. There deep and dedicated Love and respect for one another inspires in me the thought that there is no Love quite like geek Love… Swoon. Pierre, who was afflicted (as my own genius husband is) by a proclivity to act like you’d imagine an absent-minded professor to act. He was always thinking and prone to daydreaming. One tragic day, on his way home to Marie, he was crossing the street and was fatally struck down by a horse and carriage carrying a heavy load of military uniforms. Marie, upon hearing the news, was characteristically pragmatic and sensible. She made the arrangements for his funeral, and buried her one true Love. Pierre was offered a fellowship at a university. Marie took this post in the absence of her husband, and went on to be the mother of modern X-ray technology as well as numerous other scientific and social contributions in her lifetime. The posting of a woman to such a prestigious role was very peculiar for the time indeed. Marie was a trail-blazer and heroin in so many ways, and her Love and dedication to Pierre is just one of the many wonderful and awe inspiring things about this petite polish chemist.